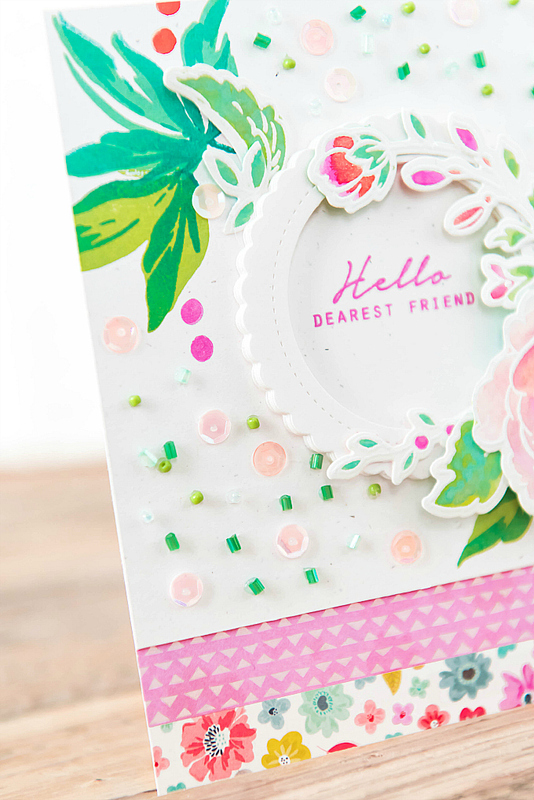 The piece that inspired my card, was once again this gorgeous Handpicked Bouquet flower from Altenew. It's possibly the sweetest, most delicate flower! Like most Altenew florals, it's super versatile. 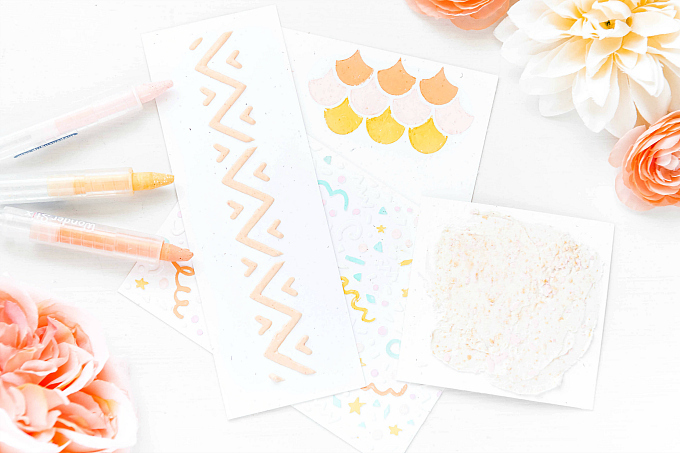 The set comes with the outline stamp, as well as shading bits that you can stamp within. But here, I decided to pull out some Distress Oxides and get watercolor-y. Nothing fancy, just a light dab of color here and there. You can see my other watercolored card with this set here. 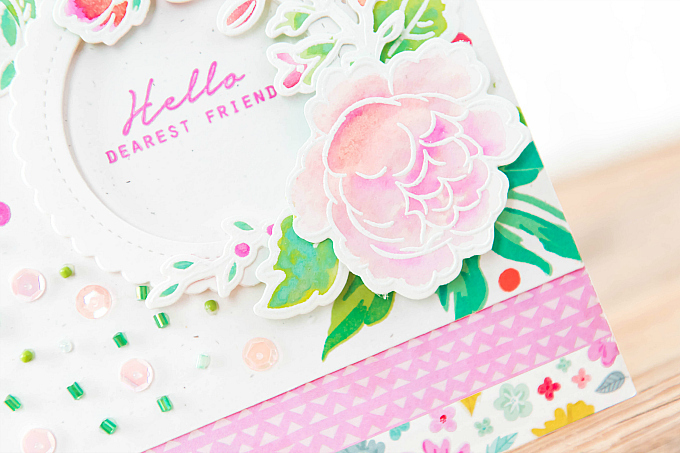 After my floral was done, I used a pretty scalloped circle die from the Queen and Co Circle Shaped Shaker set, to cut out a stack of circle frames. I adhered them together for some dimension. Before adhering to my card base, I stamped the gorgeous leaves from Altenew's Hope stamp set. I loooove this set so much and the stunning layered stamps. 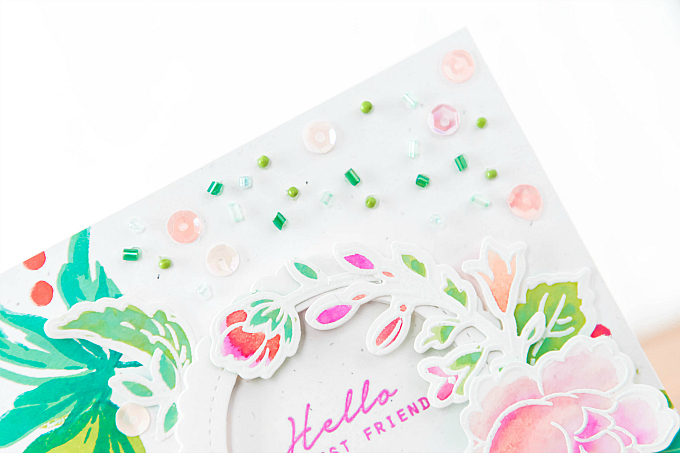 To give my stamps a bit more dimension in stamping the layers, I inked up just the bottom portion of the accent layers, and used a blending foam to blend out the rest of the color, before stamping on the leaf bases. This gives the leaves even more dimension. I used the coordinating die to cut out the florals, and snipped them into individual pieces so that I could wrap them around my frame. I stamped the sentiment from the Hope set, in Picked Raspberry Distress Oxide ink, and adhered the frame. At the bottom of the card, I added two colorful strips of patterned paper. This list features some affiliate links to products used in the project(s) above. 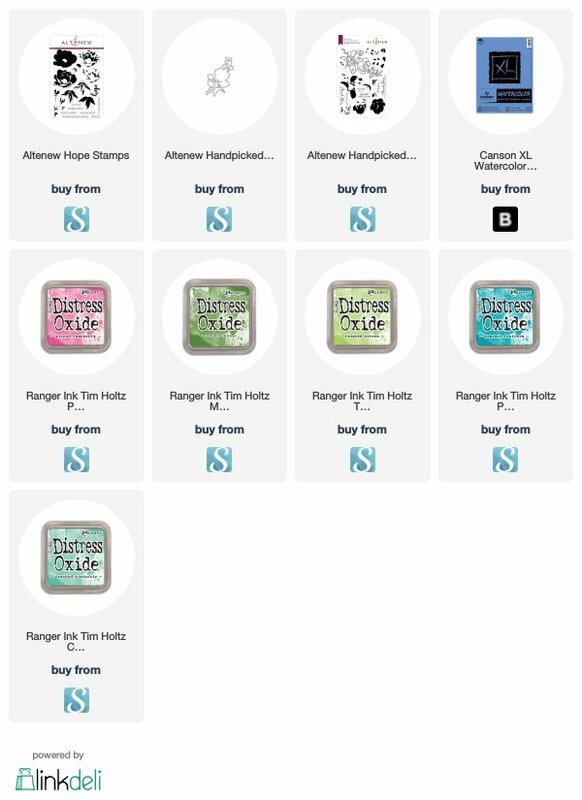 Should you use these links before shopping, it will never add any extra cost to your purchase, but it will go a long way in helping to support this blog and exciting new content. What a gorgeous floral design Ivana. Snowed again last night I am so over this snow already. This is wonderful Ivana! The scattered beads and sequins look like confetti!